Former Beach Boys promoter and manager Fred Vail shared a few memories with us on Friday that we're sharing with you today. It's a bittersweet day for me today (Friday, June 12th). The White House performance was a benefit for Eunice Kennedy Shriver for her "Special Olympics", which I had orchestrated as a favor for a good friend, Tom Carter, who was managing a singer who was recording in my studio at the time. That night -- June 12, 1983 -- would be the final time I'd see Dennis sing with his band mates. On December 28, barely three weeks after his 39th birthday, he would drown in a Marina del Ray swimming accident. I had seen them go from a $350 a night surf band -- driving them to gigs in my folks' '54 Chevy wagon -- to being "America's Band", taking private jets, arriving in limos and staying in plush hotel suites. It doesn't get much better than that. On the other hand, let me show you what a typical set on Me-TV-FM sounds like ... I'll bet there isn't an oldies fan out there that wouldn't kill to have a radio station like this in THEIR hometown that they could listen to in the car. We still fall asleep to it nearly every single night ... and will often put it on as background music when we're just doing things around the house. Despite any negative comments I may make it is STILL the most variety being offered on the dial today in Chicagoland. And they regularly salute our Chicago Local Heroes, too. The other day in the course of a round-trip drive, I heard "I Will Always Think About You" by The New Colony Six (hear that one quite a bit, actually), "Mercy Mercy Mercy" by The Buckinghams and "Up On The Roof" by The Cryan' Shames. Not a bad set for a local fan like me! You guys have GOT to read this ... absolutely HYSTERICAL!!! (I was supposed to call Question Mark a few years ago and do a FH interview and just never got around to it ... but somebody gave me his number and said he'd like to do something with Forgotten Hits. Now I'm wishing I had done it just to experience the craziness of it all!!! Great job, Carl ... had to frustrating (and funny) as hell!!! He made that long story short at least half a dozen times ... and STILL never told you anything!!! The Glen Campbell documentary "I'll Be Me" will air on June 28th on CNN at 9 pm Eastern. We've been waiting a long time to see this one ... and I know a lot of you out there are anxious to see it too. Check your local listings for encore presentations. Campbell's long time friend songwriter Jimmy Webb posted a loving tribute on his Facebook Page about Glen's current condition. (Webb was responsible for many of Glen's earliest hits, including "By The Time I Get To Phoenix" (#26, 1967), "Wichita Lineman" (#2, 1968), "Galveston" (#3, 1969), "Where's The Playground Susie" (#13,1969) and "Honey Come Back" (#10, 1970). I visited my friend Glen Campbell Wednesday in Nashville. Laura and Kim Campbell were there as well. You may be aware that Glen has bravely been living with Alzheimer's Disease. Along with his strong and courageous wife, they have changed the face of Alzheimer's forever. The world watched as Glen traveled from city to city, to continue doing what he loves to do: perform and share his music. Doctors were amazed at how the music and activity appeared to slow the pace of the disease for awhile. With his family, they showed the world that you don't have to hide when you become ill. They raised awareness, and in turn, funds for Alzheimer's research. Glen is currently residing in a memory support community — it reminded me of one of the nice hotels he would stay at while on tour. Kim has found this place for Glen that is safe, where he is cared for 24 hours a day. The ratio of caregivers to residents astounded me -- he is never alone. And there are only 17 other residents; his neighbors are former lawyers, doctors, teachers and others who are living with the same challenges that dementia brings. Glen has been my friend for a long time and I love him like a brother. I am sure that Kim has made the right choices for and with my friend of 50 years. Glen has his private room and bathroom, all decorated by Kim with custom paint, lots of photos murals and framed memorabilia. The place is bright and clean. He loves color and still wears his blue suede shoes from time to time! The memory center has elaborate arrangements for activities. There are many different rooms and spaces for him to experience each day, each furnished tastefully and safely. There is an airy screened-in porch where Glen likes to sit and where we visited with him. He has a full time caretaker, Brody. Brody is in his early twenties with long blond hair -- he looks like a surfer! Brody is patient and kind. He plays the guitar with and for Glen. They sing, they walk around the grounds and converse almost constantly. We instantly fell for Brody and thanked him for the care he gives to Glen and the important breaks he gives Kim so she can rest and work. Glen has always been a happy guy and a jokester. He still is. For longer than I'd like to remember, he has imitated Donald Duck and during the visit, he did his Donald voice for us. He sings in a low register all the way to high clear notes that are reminiscent of the performances we are all familiar with. He seems almost to go from song to song, under his breath at times. He looked at me after singing one song and said, "that was a good song wasn't it?" Music is still at the very center of who he is. It is almost as though he is giving a never-ending performance. The last thing he said to me when it was time for us to go was, "Was it a good one?" like he used to say to me at the end of a concert. That phrase made me think that he recognized me, that and the fact that he said my name to Kim and Laura when I left the room briefly. He sees his family all of the time; Kim and two of his younger children live just a few minutes away. And his oldest daughter Debby was visiting just the day before. He is loved. He is cared for. He is respected. And most of all, he has his dignity. We can all be comforted by that. How's this for an interesting promotion??? Styx is coming to the Nebraska State fair. They were here not long ago, but I found it a bit funny when our most famous local sandwich business, Runza, did some special advertising for the band. FYI, Runza is a meat sandwich that most all Nebraskans know, but the franchise has never ventured outside of Nebraska very much (https://www.runza.com/locations/search), despite its huge popularity. 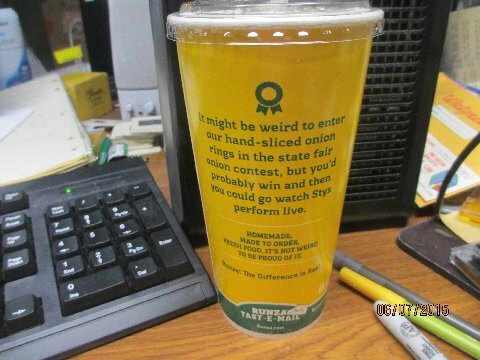 Check out the custom Runza cup I drank from and was surprised by last weekend! At first, I thought it was a grand illusion! I've had John Fogerty's biography on pre-order for awhile now ... can't wait to read it and hear his side of the story. (Too often, John comes across as the villain in all of this ... and I'm the first to admit that I may have presented him this way as well in our extensive Creedence Clearwater Revival piece several years ago.) It just didn't seem fair to me that he would shut out his long-time friend and musical partners Doug Clifford and Stu Cook. While it's true John wrote and sang all of the music, these two guys (and John's older brother Tom) were all instrumental in perfecting the sound that captured the hearts of our nation. Below find links to both a new article on Fogerty's biography ... as well as our Forgotten Hits piece on the whole band. >>>In honor of its 50th anniversary, we thought it would be fun to share the Billboard Hot 100 from the week that "Satisfaction" first entered the chart. There aren’t many, if any, artists whose hits are chronicled here who are still at after all this time but, of course, “Satisfaction” and the Stones aren’t like anything that’s come before or since. Although Mick couldn't get any satisfaction with girls, he also didn't have any luck getting the number one song of the year in Billboard. The Hot 100 you showed with the Stones song debuting also showed "Wooly Bully" at its peak #2 on the Hot 100. In just five weeks, "Satisfaction" was number one and "Wooly Bully" was still in the top 5. Amazingly, Billboard's year end chart in December of 1965 claimed Sam the Sham's hit was the NUMBER ONE song for the entire year of 1965!!! It only reached number two on the weekly chart! "Satisfaction" claimed the number one spot for a whole month! Yeah, "Bully" was top 10 for nine weeks and stayed on the Hot 100 for a (then) quite lengthy period of time of 18 weeks, BUT I gotta think there was some "Rock & Roll Hall of Fame" tactics going on at Billboard then. "Wooly Bully" capturing the #1 Song of the Year Award in Billboard has always one of rock and roll's greatest mysteries ... but apparently it earned enough point during its lengthy chart run to eclipse ALL of the records that DID hit the #1 spot during 1965 ... and that's some pretty ritzy company to say the least. I am 66 and had a transistor radio in my ear since I was 9. I thought, and have been told, that I was a freak as to knowledge of the OLDIES ... BUT YOU are from another planet!!! I can't tell you how much happiness your Blog gives me every week you post your intelligent passionate thoughts. The Charts ... And Another Lucky Forgotten Hits Winner! Recently we ran a week-long, year-by-year analysis of the records that reached the #1 Position on all three of the major trade publications, 1955 - 1981. 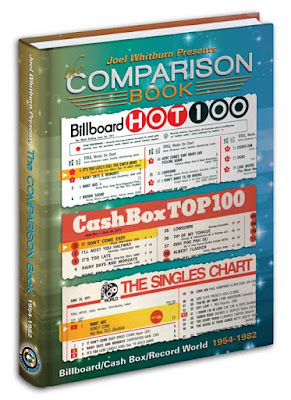 Our research was based on the new Joel Whitburn "Chart Comparison" Book that compares, for the very first time EVER, the peak position of EVERY record to make the Billboard, Cash Box and Music Vendor / Record World Charts during this period known as "The Rock Era". If you didn't win, don't despair ... you can still pick up a copy of this EXCELLENT book (and reference tool ... we use it EVERY SINGLE DAY) through Joel's Record Research website. (Link below) It's an invaluable way to compare what was REALLY going on in music at the time ... rather than the very distorted view we're presented with now of "The Greatest Hits Of All-Time" thanks to the narrow-minded programming of most oldies radio today. Even before I got to the end of today's segment of the "Being #1" Series and the reference to having a chance to win the Chart Comparison book, I had decided to write to thank you for the series of articles. You obviously spent a great deal of time reviewing the Chart Comparison book, coming up with an easy to follow mix of analysis and commentary, even over the period before you got into the music yourself. A fascinating read, and a great advertisement for the book. Personally, I also found the series interesting, as it ties into the latest "Rockword" crossword puzzle that I'm compiling, entitled "Did Better on Cash Box Than The Hot 100". In 1977 I was working for Warner Brothers, parent company of Atlantic Records. At least a dozen of us were having lunch when one of the salesmen came in with two records. One was Solisbury Hill by Peter Gabriel, and the other was Feels Like The First Time by Foreigner. Keep in mind that we were all music geeks. We were asked about our opinion and unanimously we preferred Peter. The complaint about Foreigner was it sounded like everything else that wasn't disco at the time. It was OK, but nothing special. 38 years later, since Foreigner is one of those acts you hear right after radio plays the obligatory Journey song, I kinda feel the same way. Now having worked for record distributors for about six years, I saw and heard firsthand about some amazing stunts record labels pull. A few weeks ago I mentioned a stunt that A&M records pulled in regards to Styx. I didn't go into detail, but since you started a series on how a record gets to chart where it does, the story now fits. For years Styx played every teen club in the midwest. Who can forget those commercials for Dex Card's Wild Goose clubs? They released four albums on Wooden Nickel that went nowhere until some jock, and I don't think it was a local jock, came across Lady from their second album. It got them signed to A&M Records, which helped in that they had better distributorship. But it wasn't until their third LP, Grand Illusion, that Styx came thru for the label. But now their contract, for three albums, was up ... and other major labels came calling, notably Columbia. A&M's argument for resigning with them was that Columbia had Springsteen, Streisand, Neil Diamond, Paul Simon, etc., and Styx wasn't in that tier of performers, yet. So if it comes down to Babs, or Styx, they're gonna use the promo dollars on Babs. To prove their point, the first two Styx albums had re-charted and the Grand Illusion regained its bullet. A&M argued that we're working our asses off for you and it's paying off. Dutifully impressed, Styx signed a new deal. What happened was A&M shipped 25,000 albums to each of their distributors, 250 - 300K. There weren't any preorders for that amount, nor was A&M expecting it. But it was more than adequate enough to get the releases back on the charts. Three months later A&M took the excess back, no questions asked. To be fair, A&M did come thru for the band. Not counting a greatest hits package, their next four studio albums went top 10 or better. Thanks for your series on #1's. One of the reasons for the differences might be that Billboard for most of the time included radio airplay in their charts for all positions ... only between 1968 and 1973 were the Top 50 was purely based on sales. Cash Box and Record World for most of the period didn't include airplay in their calculation as far as I'm aware. I do believe Cash Box was purely sales based until the late 70's and Record World based at least the top of the chart on sales only. This could explain also the big difference for a novelty record like Mr. Jaws or the spoken word record Americans. For both of them I can imagine that radio stations might not plat them too much. Living in Europe where charts were sales based until the 90's, a sales based chart seems a better reflection of the popularity. Joel Whitburn selected YOUR email as the winning entry for a copy of his new Chart Comparison book. The reader who will be awarded a copy of my “Comparison” book, it will be Mr. de Vries. Billboard’s “Hot 100” chart was the first national chart to combine sales and airplay into its calculation of the top 100 songs each week. He made that point, so I think he deserves the award. Again, another good series, Kent! FYI, this was a damn good piece. However, TIME OUT on the field! The Sunday list of #1 songs during the mid to late 60's seemed hopelessly inadequate. The Monkees lackluster "I'm a Believer" turns up at 3, while so many Rolling Stones classics just never found their way to the top of the mountain. This confirms what I have been saying for 40 plus years ... the 60's were magical, but truly great and diverse rock 'n roll was often overshadowed by the bubble gum junk. It hurt me to see a list that didn't include Spirit, The Chambers Brothers or the Stones' "Let's Spend The Night Together." Really, this top 200 list insults those of us who were diggin' Velvet Underground in 1966 ... "I'm Waitin' For My Man." I am going to provide you with my own top 200 list of the best songs of the mid to later 60's!!! Naturally, I'll tick people off but, hey, that's show biz. Keep in mind this list only shows records that reached #1 on the national charts ... and "I'm A Believer" was HUGE ... eight weeks on top in Cash Box, seven more in Billboard and an additional five weeks in Record World. Artists like Spirit and The Chambers Brothers, both of whom produced classic '60's hits to be sure, never even came close to topping the charts. (Spirit's biggest hit "I Got A Line On You" peaked at #25 while The Chambers Brothers did a little better, reaching #11 on all three major charts in 1968. The Rolling Stones had SEVEN #1 Records in the '60's, the biggest of which (by far) was "Satisfaction", logging eleven weeks on top of the collective heap between the three trades. "Let's Spend The Night Together" was the B-Side of "Ruby Tuesday" (which also reached #1 in all three publications) ... but back then each side of a record was listed separately. As such "Let's Spend The Night Together" (banned on any number of stations at the time) only peaked at #28 in Cash Box ... it didn't even make The Top 40 in Billboard or Record World. As for The Velvet Underground, that truly was an "acquired taste" ... they never hit the charts at all!!! On your point below concerning TOP 500 or 1000 songs ... YEARS ago I gathered all the BILLBOARD chart data for the chart paths of songs that hit the TOP 50 on their publication. I then devised a points system that 'ranked' those songs based on their chart paths. (Essentially, I gave 210 points for a week at # 1, and 1 point for a week at # 50, with a sliding scale between those 2 positions.) My focus was on the 1960's, but I have this data from about 1957 - 1988. Recently, I have been entering a list on my computer of the "TOP SONGS of the 1960's." I take it from the biggest single hit (which you likely can guess ...) which had in excess of 5,000 points on my system down to 300 points. That is about the TOP 1600 singles of the 1960's. It has a number of flaws that I've never been able to completely work out to my own satisfaction. Biggest among these is the 'imbalance' in years. By this I mean there was FAR MORE competition is some years (1964 - 1967) than others (1960, 1968 and 1969). This led to 'shorter' time periods on the chart for the former years, and thus more weeks (and more points) on the charts for the latter. Thus, there appear to be 'more bigger hits' from certain years than others. I also penalize those songs which had chart runs partly in 1959 and 1960, and partly in 1969 and 1970, by counting only those weeks between January 1, 1960 and December 31, 1969. At present, I have about the TOP 750 songs entered on my computer and can share that list if you'd like. Many of us have tried to rank the hits over the years, including several successful books that have been published on this topic. Each applies its own methodology of assigning point values in some type of weighted descending order and, essentially, the results come out reasonably close to being the same. 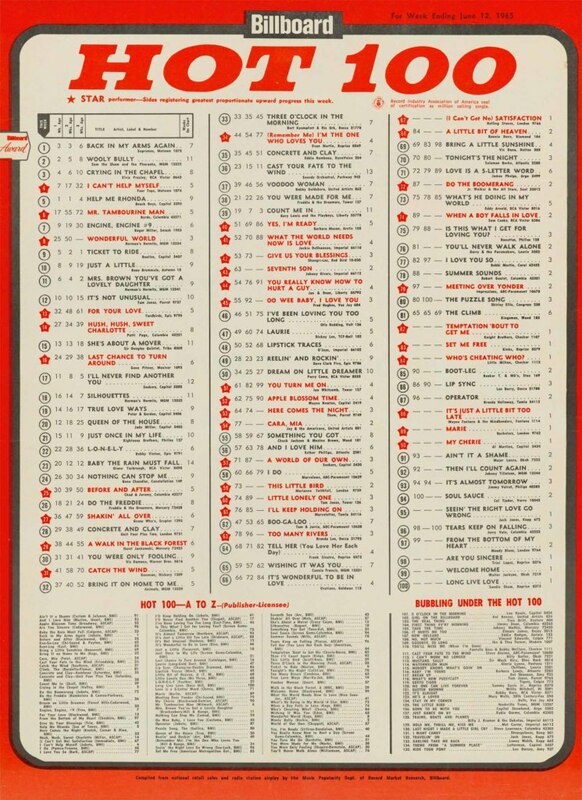 My idea of listing the top 500 or 1000 #1 Records was a very simple method ... just COMBINING the weeks spent at #1 in all three major trade publications between 1956 and 1980. The other night we were watching a 51-year-old episode of "The Fugitive" and during the commercial break they announced that "Two Broke Girls" was coming to that same television station this fall. I couldn't help but wonder aloud if, 50 years from now, folks would be gathering around their tv sets to watch old episodes of "Two Broke Girls" ... somehow, I just can't believe this will be the case! This week's Number One series has been quite interesting. Today's 1970 Super Chart is packed with a wonderful mix of great music. We've sat here and gone through this entire chart and marveled at what a great collection of tracks appear on this list. So sad that only about 20% of these are ever played by our local oldies station. When was the last time you heard Tome Jones's "Daughter of Darkness" on the radio? Nevertheless, I thoroughly enjoyed the compilation of HITS! As always thanks for all you do for all of us music junkies. Does Randy have a book or web site featuring all the super charts? Must have been a ton of work. I'm sure you've been asked this question a million times - but seriously, where can I get ALL of Randy Price's amazing Super Charts. Tell me he's putting a book or a website together with all that data? I want to see them! Just got back in my office from a nice long holiday weekend. I’ve got a busy stretch ahead as I’m presenting Johnny Mathis with a special Billboard presentation later this week at his concert at Milwaukee’s Riverside Theater; then two of Billboard’s chart managers are coming here along with the president of Atlantic Records for a close-up tour of my Record Archive and some other interesting business. Then, next week my school is inducting me in the fine arts Hall of Fame with some celebrities on hand including Andy Hurley of Fall Out Boy who went to the same school as I did and was inducted two years ago. And, finally, we’re behind the 8-ball in getting two new music books introduced to the world. Time is just flying by way too fast and it just seems harder and harder to keep up with all the demands of running a business at full throttle. While I appreciate your Comparison Book discussion, I have to tell you that I am completely partial to Billboard, because I have been to their chart department and seen them in action pulling in data from all across the nation. I have also been to the offices of George Albert and Cash Box – very quiet indeed. You need only answer one question: how did Wayne Newton’s “The Letter” hit #1 in 1992? A commercial single of it does not exist. It did not make Billboard’s or Record World’s Top 100 or “Bubbling Under” charts! As far as Record World goes, the editor and chart director, Michael Sigman, called me and thought it was funny that I was publishing a book on their charts and he was writing a story for a newspaper about his time at Record World. I told him to make sure he sent me a copy, which he did. I think Sigman pretty much hit the nail on the head. “Billboard’s massive resources”, and, of course, the other trades using them as their first reference does rank Billboard, unquestionably, as the all-time #1 music trade. I could go on and on about this and other factors, but I’m leaving it at this ... Billboard was regarded as "the bible of the industry" for good reason ... the other publications did their best to emulate them ... but paled drastically in comparison. I’ve worked with many publishers, editors and chart directors at Billboard, all of whom were hard working, honest and well respected gentlemen within the music industry. I’ve always had and still have complete trust in their charts! I just wanted you to know that our new and improved website, www.theairplaychannel.com, is up. We've added some new interviews and hope to shoot some more soon. We just posted our first trivia quiz. We'll randomly select one of the people with the highest score and they'll win a DVD of "Airplay". Comments are welcome. We'd also really appreciate it if you guys would like our Facebook page, "Airplay: The Rise and Fall of Rock Radio". I'm hoping to get a schedule of where and when it's airing. We really appreciate the support you've given us. I really enjoyed seeing the 50 year old KRLA chart ... a lot of memories there. At that time, I was playing 'good music' doing the all-niter on KKOP-FM in L.A. I listened mostly to KRLA during my awake hours and have to tell you it was a magical summer. The year before, right after I left active duty with the USAF, I got a job in a local factory to tide me over until I could adjust to civilian life. Working in the mail room was Randy Nauert, who moonlighted as the bass player with the local surf band, The Challengers. Once he found out my DJ experience in Texas and AFRTS, we became fast friends. Fast forward to the summer of '65. I was grabbing a late bite to eat at the local "Bob's Big Boy" just before I had to start my shift at the station. While I was sitting there, in walked Randy and the rest of the band. They joined me in my booth so I sat and listened as they talked about the gig they had just finished. As I was leaving, Randy mentioned that they were playing at the "Orange County World Teen Fair" the next weekend and I should be there. That sounded good to me so I made my plans. I showed up about 7:45 and caught the last 20 minutes of their set. I also found out they would be the back-up band for the various headliners that would be appearing that evening. When Randy saw me in the crowd, he waved at me to come up to the stage and when I got there, he invited me to join him backstage. I accepted, and that visit was to be one of the most memorable of my life. In addition to The Challengers, I was able to hang out with The Dixie Cups ("Chapel Of Love"), Jay and The Americans, Sam The Sham and The Pharaohs and (best of all) The Righteous Brothers. I didn't say anything, just shook some hands and listened to the conversations. It was about 30 minutes of Rock And Roll Heaven. 50 years have gone by since that memorable night, but hardly a day goes by that I don't recall that special moment and give thanks that I was there. I still exchange E-Mails with Randy once in a while and I thank him most every time for that thrill. Thanks for your good work ... "Keep On Truckin'" and doing it right!!! at the 12th Annual Phillies African-American Heritage Celebration. Gamble & Huff's Philadelphia International Records became the birthplace, incubator and launching pad for the Philly Soul sound aka “The Sound of Philadelphia (TSOP),” a unique blend of R&B rhythms, sweet soul vocals, deep funk grooves, pulsing horn charts and lush string arrangements with melodic structures combining elements of pop, jazz and world music. With a stable core of artists led by The O'Jays, Harold Melvin and the Blue Notes, Billy Paul, MFSB and the Three Degrees, Gamble & Huff co-founded Philadelphia International Records and began creating monster hits from nearly the first day of its inception in 1971. They continued to record, collaborate and produce major hits with a galaxy of stars from the pop, rock, soul and jazz universes, including Michael Jackson and the Jacksons, Elton John, Lou Rawls, Teddy Pendergrass, Patti LaBelle, the Spinners, the Stylistics, the Delfonics, Dusty Springfield, Jerry Butler, Wilson Pickett, LaBelle, Archie Bell & the Drells, the Soul Survivors, Laura Nyro, the Trammps, McFadden & Whitehead, Phyllis Hyman, the Dells and many more. We’ve been celebrating the fact that The Rolling Stones epochal hit “(I Can’t Get No) Satisfaction,” the band’s first U.S. #1, was released 50 years ago. It soon became the band’s signature song and, of course, occupies a special place on their current Zip Code Tour set list: it’s the finale. We thought it would be fun to share the Billboard Hot 100 from the week it first entered the chart. There aren’t many, if any, artists whose hits are chronicled here who are still at after all this time but, of course, “Satisfaction” and the Stones aren’t like anything that’s come before or since. Scroll down past the chart for news of ABKCO’s release of a special limited edition “I Can’t Get No) Satisfaction 12” single that will be released on the 50th anniversary of the original record going to #1. Released during the first week of June in 1965, “(I Can’t Get No) Satisfaction” by the Rolling Stones proved to be a monumental single, not just in terms of airplay and chart position (their first U.S. #1), but also in terms of shaping popular music. The song that, according to Newsweek, contains the “five notes that shook the world” has proven itself timeless. A half-century later, the Rolling Stones played the song as their finale on the opening night of their Zip Code Tour of North America 2015. The idea of writing a song around a riff (a repeating sequence of notes), rather than a vocal melody or chord progression, though not unprecedented at the time, had yet to take rock music by storm. “Satisfaction” was the storm. Over the course of the next several years, the shift in focus towards the riff took hold, and can be still heard in popular music today. On July 10, ABKCO Records will celebrate the golden anniversary of “Satisfaction” by releasing a limited edition, numbered 12-inch version of the single on 180-gram vinyl. While the smash hit comprises the entire A-side, the B-side consists of both original U.S. and UK “Satisfaction” flip sides: “The Under Assistant West Coast Promotion Man” and “The Spider and the Fly,” respectively. The record is housed in a sleeve featuring award-winning photographer David Bailey’s shot of the group, recreating the original 7-inch single artwork. Mastered by Carl Rowatti at Trutone Mastering Labs and cut from the original mono master tapes, the 45-rpm 12-inch format makes this a true audiophile pressing, allowing for wider grooves that yield louder levels, broader range, deeper bass and better high frequency response. 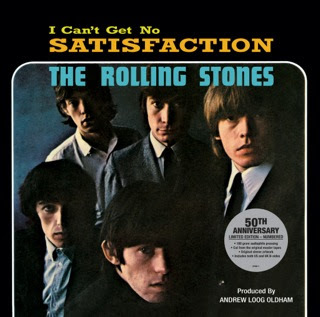 London Records (the Stones’ U.S. label at the time) released “Satisfaction” in the first week of June, less than a month after the track was recorded at RCA Studios in Hollywood, CA on May 12, 1965. By June 12, the single had entered both the Billboard and Cashbox charts. Over the course of the next month, “Satisfaction” shot straight to the top, hitting #1 in Record World on July 3, where it held its position for three weeks; Billboard and Cashbox followed suit, declaring it #1 on July 10, where it stayed for four weeks. Sales-wise, “Satisfaction” was an unparalleled success – it became the group’s first RIAA-certified gold record on July 19, 1965. The iconic guitar riff that opens the song was composed by Keith Richards who recorded the sequence of notes on a home tape recorder while in a dreamlike state in the middle of the night when the band was on tour in the U.S. After listening to his own recording and devising the song title “(I Can’t Get No) Satisfaction,” he played the riff for Mick Jagger by the pool at the Gulf Motel in Clearwater, FL in early May, 1965. Jagger immediately composed the lyrics. Having scrapped a version of “Satisfaction” that was recorded at Chess Studios in Chicago on May 10, the group re-recorded the song at RCA Studios in Hollywood, CA on May 12. It was this version that would take over the airwaves and shoot up the charts the following month. Textured by the aid of a Maestro Fuzz-Tone pedal, Richards’ riff was originally intended to be replaced by a horn section, but the recording sounded complete to producer/manager Andrew Loog Oldham and engineer David Hassinger. Jagger’s lyrics, simultaneously expressing sexual frustration and disdain for consumerist messages, would strike a nerve with the mostly young, rock ‘n’ roll buying public. Ironically, the only two people in the Stones’ camp who were initially against turning “Satisfaction” into a single were Mick Jagger and Keith Richards. “The Under Assistant West Coast Promotion Man,” credited to Nanker Phelge (a pseudonym used on compositions written by the entire band), is a lighthearted jab at George Sherlock, an employee of London Records at the time, who accompanied the group on their first U.S. tour. The Stones saw Sherlock as a vain, toupee-topped, seersucker suited music biz flunky who was ultimately harmless. In later years, Sherlock expressed pride in having been the subject of the song. Loosely based on Buster Brown’s hit “Fannie Mae,” it is the lyrical content that gives the tune historic importance; the prodding of authority figures through song was almost unprecedented at the time. In the UK, Decca decided to instead use the country-blues composition “The Spider and the Fly” (also by Jagger/Richards) as the B-side to “Satisfaction,” the company assuming that the abundance of American references on “The Under Assistant West Coast Promotion Man” may have gone over the heads of British listeners. Pressed by Quality Record Pressings in Salina, KS, and limited to 10,000 numbered copies in North America, ABKCO’s “(I Can’t Get No) Satisfaction” 12-inch single will be released a half-century to the day after the landmark song dominated U.S. charts and helped transform the course of pop music history. ABOUT ABKCO - ABKCO Music & Records is one of the world’s leading independent entertainment companies. It is home to iconic music catalogs that include compositions and recordings by Sam Cooke, The Rolling Stones, Bobby Womack, Eric Burdon, The Animals, Herman’s Hermits, Marianne Faithfull, The Kinks as well as the Cameo Parkway masters by such artists as Chubby Checker, Bobby Rydell, Clint Eastwood, The Dovells, ? & The Mysterians, Charlie Gracie, The Tymes and Dee Dee Sharp. Soundtrack releases include the 2015 Academy Award, GRAMMY and BAFTA winning soundtrack to Wes Anderson’s Golden Globe winner The Grand Budapest Hotel, 2013 Academy Award nominated Moonrise Kingdom, the 2010 Academy Award nominated Fantastic Mr. Fox, and The Darjeeling Limited, Edgar Wright’s The World’s End and Scott Pilgrim vs. the World, Independent Spirit Award Winner Safety Not Guaranteed, the international blockbuster Fast Five, Boardwalk Empire Volumes 2 & 3: Music from the HBO Original Series, the soundtrack to the first season of the hit Showtime series Californication and through ABKCO’s Little World Records imprint, American Girl:Isabelle Dances into the Spotlight. Releases on ABKCO’s SAR label include albums by L C Cooke, The Soul Stirrers, Johnny Taylor and the Valentinos. ABKCO is active on many fronts including the release of critically lauded compilations and reissues from its catalog, film and commercial placement of its master recordings and music publishing properties in all media. ABKCO Films most recent release is Alejandro Jodorowsky’s The Dance of Reality. The renowned cult director’s classics El Topo and The Holy Mountain, fully restored and remastered to HD, were shown at the 2006 Cannes Film Festival (Classics section) and at the prestigious 44th New York Film Festival. Other releases include the 2014 GRAMMY Award winning The Rolling Stones Charlie is my Darling – Ireland 1965. In 2003 ABKCO won a GRAMMY® for the DVD release of Sam Cooke – Legend and the following year released the DVD of The Rolling Stones Rock and Roll Circus to universal acclaim. Upcoming releases include a restoration of the Spaghetti Western Blindman starring Ringo Starr. ABKCO Films is in pre-production on a biopic on the life of Sam Cooke. Time Life will debut Spotlight Gallery and The Rolling Stones Clear Vinyl + Album Art Lithograph Collections with receptions in Los Angeles and New York. The Los Angeles event will be hosted by Chris Carter, heard weekly on Sirius XM’s Radio’s Chris Carter’s British Invasion and on KLOS. The event takes place at Mr. Musichead Gallery, 7420 W. Sunset Blvd., in the heart of Hollywood’s “Rockin Row” on Thursday, June 18 from 7 to 10 PM and will be preceded by a VIP reception at 6:30. The New York event is set for Thursday, July 9 at the ARChive of Contemporary Music, 54 White Street in Soho. 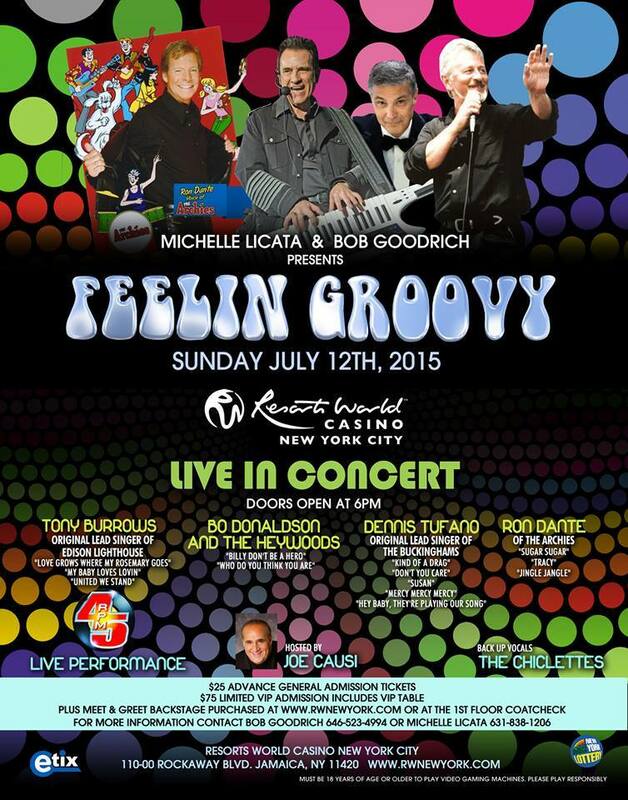 Jonathan Clarke, whose Out of the Box show is heard on Q104.3 will host the event. Both the Los Angeles and New York launch receptions will provide an onsite opportunity to purchase The Rolling Stones Clear Vinyl + Album Art Lithograph Collections. Both events will feature custom cocktails curated by Pura Vida Tequila. The thoroughly cohesive and highly regarded Let It Bleed is considered by many to be the Rolling Stones’ best album. Tracks include “Midnight Rambler,” “You Got the Silver” featuring Keith Richards’ first lead vocal, the apocalyptic-themed “Gimme Shelter,” the band’s faithful take on Robert Johnson’s country blues “Love in Vain,” and the epochal “You Can’t Always Get What You Want.” The Let It Bleed album cover art is by Robert Brownjohn, the American-born graphic designer known for creating the title sequences of such films as Goldfinger and From Russia with Love. The Let It Bleed cover features a Dadaist LP-shaped cake created by cookbook author Delia Smith, the design inspired by the album’s original title, “Automatic Changer.” Let It Bleed’s innovative imagery has resonated over the years since its release in late 1969. The cover art was a recent addition to the design collection of New York’s Museum of Modern Art and was the subject of a commemorative postage stamp issued by Great Britain’s Royal Mail in 2010. ‘Get Yer Ya-Ya’s Out!’ The Rolling Stones in Concert holds the distinction of being the first live album by any artist to reach No. 1 on the U.K. charts. Recorded at New York City’s Madison Square Garden on November 27 and 28, 1969, the featured concert was part of the U.S. tour during which the group was introduced for the first time as “the greatest rock and roll band,” as heard at the start of the album. Ya-Ya’s is considered the Stones’ finest live album and includes concert versions of the hits “Jumpin’ Jack Flash,” “Street Fighting Man” and “Sympathy for the Devil,” but is most notable for a nine-plus-minute version of “Midnight Rambler” with extended harmonica solos by Mick Jagger, widely considered the greatest recorded version of the song. Shortly after the album’s release, rock critic Lester Bangs noted in his Rolling Stone review, “It’s still too soon to tell, but I’m beginning to think Ya-Ya’s just might be the best album they ever made. I have no doubt that it’s the best rock concert ever put on record.” The album’s cover was shot by David Bailey in February 1970 and the original design is by John Kosh (art director for over 100 album covers, including The Beatles’ Abbey Road, The Who’s Who’s Next, the Eagles’ Hotel California, and Rod Stewart’s A Night on the Town) and features an atypically exultant Charlie Watts holding two guitars alongside Jack, a donkey burdened with some of his drum kit and a guitar. It has been suggested that Bob Dylan’s song “Visions of Johanna,” which includes the line “jewels and binoculars hang from the head of the mule,” was the inspiration for the Ya Ya’s cover concept. The Rolling Stones Limited Edition Clear Vinyl + Album Art Lithographs will be available for purchase now at www.spotlightgallery.com or by calling 1-877-914-3040, where future distinguished entertainment collectibles will also be presented. Spotlight Gallery features a selection of distinguished entertainment memorabilia and collectibles from renowned music icons, legendary artists, and acclaimed performers from stage and screen. Each item is a piece of history to be treasured for a lifetime by any collector, art enthusiast, or fan. 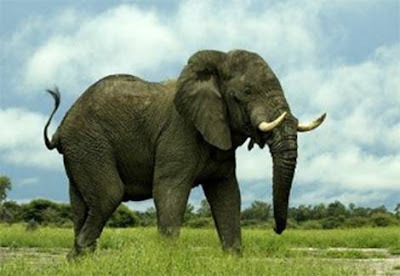 Spotlight Gallery is owned and operated by Spotlight Collectors Gallery®. Time Life is one of the world's preeminent creators and marketers of unique music and video products and has extensive experience partnering with leading artists and performers in the entertainment industry. The company specializes in creating distinctive multi-media collections that evoke memories of yesterday, capture the spirit of today, and can be enjoyed for a lifetime. Time Life and the Time Life logo are registered trademarks of Time Warner Inc. or an affiliated company. Used under license by Direct Holdings Americas Inc., which is not affiliated with Time Inc. (NYSE:TIME) or Time Warner Inc. (NYSE:TWX). More information is available at www.timelife.com. I host a weekly radio show in Central Florida, on WPRK 91.5 FM. Below is a link to a two-hour interview with Colin Blunstone and Rod Argent of The Zombies (within a four-hour program devoted to the group). Recorded in-studio on their 2014 US tour, I think you'll enjoy. It was nice to read Dennis Tufano's kind raves about the group on your blog (and his is an underrated voice, isn't it?). GREAT show ... and one I felt very fortunate to see. We who have taught, or love children who have been taught, know this is funny! I took a deep breath, then asked ... "What did you call it?"